We have often heard, and quite frequently too, that there exists a certain ‘glass ceiling’ when it comes to the amelioration of the working standards of female employees in any organisation – meaning thereby, women can achieve growth and success only upto a ‘legitimate’ limit, and not beyond that. That zone, which is made to lie beyond the women’s grasp, is reserved for men, stereotypically. But in the example of Aruna Jayanthi, we have a different story altogether –a woman who has worked in the IT industry for around 27 years, believes that the concept of the ‘glass ceiling’ is merely a ‘myth’ and that merit prevails over gender bias in every field. Presently, Aruna Jayanthi is the CEO of Capgemini India –a position she acquired in 2011. She is also the Chairperson of Board of Governors of National Institute of Technology Calicut, a position shegained in 2014. Her former position at Capgemini was as the Global Delivery Officer for Outsourcing. Jayanthi joined the IT industry right after she graduated from the prestigious business school – Narsee Monjee Institute of Management Studies in Mumbai. 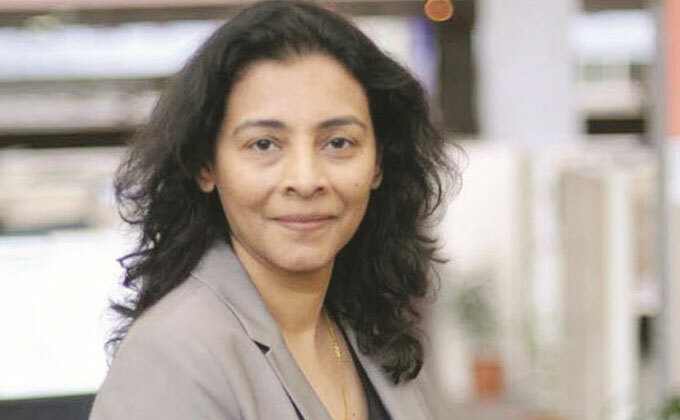 Her third rank in the Fortune India list of 50 Most Powerful Women in Business and her award – Woman in the Corporate World award by the India Today Group speak volumes about the hard work and the unstinted devotion that she has put in as a woman in the IT industry. Though Jayanthi has worked in the IT department, which basically cater to technology-related issues, she has taken care to ensure that the human aspect does not remain neglected – i.e. the importance that needs to be attached to the particular needs and desires of every single customer. She believes that technology which is highly advanced and sophisticated but does not meet the demands of the consumer, is actually a big waste of time, effort and money. Thus, her holistic and consumer-centric force is one the inspirations that one can draw from her career-graph. Interestingly, her views on the male/female divide at the workplace are quite empowering, as is her opinion on sabbaticals during the employment tenure. She feels that though men and women possess varied and different talents, none of them is to be discredited or pedestalised, because all people are unique and cannot be clubbed as a homogenous mass of ‘men’ or ‘women’. Next, she believes that short term breaks in the career, both for men and women are necessary and fruitful too – one should not refuse or deny oneself the right to a break in the career and also it then becomes the responsibility of the organisation to ensure that the employee can revert to the changed environment in an efficient manner. It is these beliefs and faith in the employees that motivates us when we regard Jayanthi as a ‘sociable techie’.